This lesson in telepathic experiments makes mind reading an understandable and practical thing. A method of reading one's thoughts that you can learn and apply. The secret mental equipment needed for your success as a mental performer. The late Axel Hellstrom, a German mental marvel, astounded the entire scientific world with his uncanny ability to read the thoughts of a person with whom he was in contact and to interpret these thoughts correctly. He would execute mental (not written) commands with lightning rapidity - find hidden articles wherever they were secreted - deliver sealed messages when the addresses were just thought of - do hundreds of other tests, equally perplexing, that seemed almost super human. Give yourself the thrill of a lifetime - make that next performance of yours bring them to their feet - and you can do it! Hellstromism is an authentic copy of the telepathic instructions received by Axel Hellstrom in Germany and is positively the method he used in America. It contains all the certain and long sought for data, heretofore guarded and unpublished, that was the whole secret of his success. 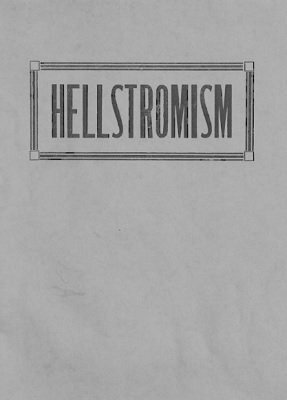 Hellstromism is a one man mental exhibition that can be performed anywhere - anytime - any place, without previous preparation. You get the genuine secret details, including the opening lecture -which prepared that performer and allows him to almost immediately duplicate the wonders of this mind reading masterpiece.